Mahlatse Matlakana’s life’s work is a love letter to peppers, her community and her ambitions. Her passion for farming took root when, at the age of 15, she began working on a farm in her hometown of Arrie Village in Senwabara, Limpopo. What began as a holiday job to help support her family soon blossomed into a genuine calling. “It was a hard job, but for some reason, I loved it,” she says. Her smile is palpable over the phone line. She is breathlessly enthusiastic about her farming project, but clinically practical about how she intends to reach her goals. Mahlatse Mathlakana leases an 8 hectare farm and employs people from her own community. Five years later, she finds herself in charge of her own, leased 8 hectare farm. She employs people from her community, supplies produce to major retailers and markets and has attracted the attention and support of major brands like Shoprite, Anglo American and Basil Read. Her registered company, Wozilex, has recently secured a grant through the National Youth Development Agency which will greatly accelerate her progress. The 20-year-old’s story is much more than the sum of her recorded achievements. The hardships and challenges she has faced have been crucial to her development. It has not been an easy road for her. “It changed my life a lot. I lost some friends in the process,” Matlakana says sombrely, recalling how many of her friends left home to study while she stayed to pursue her passion. She also faced disapproval and resistance from her parents, who were worried that she was taking too large a risk by abandoning her plans to pursue a law degree. With logistical support from her community and various organizations, she managed to turn this around. She has written her own success story and earned her the respect of her family; her parents are now among her biggest supporters. 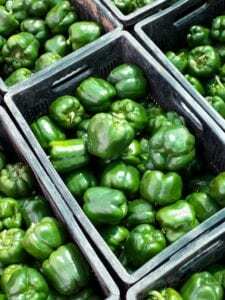 Some of the peppers produced by Mahlatse Matlakana’s farming enterprise, Wozilex. 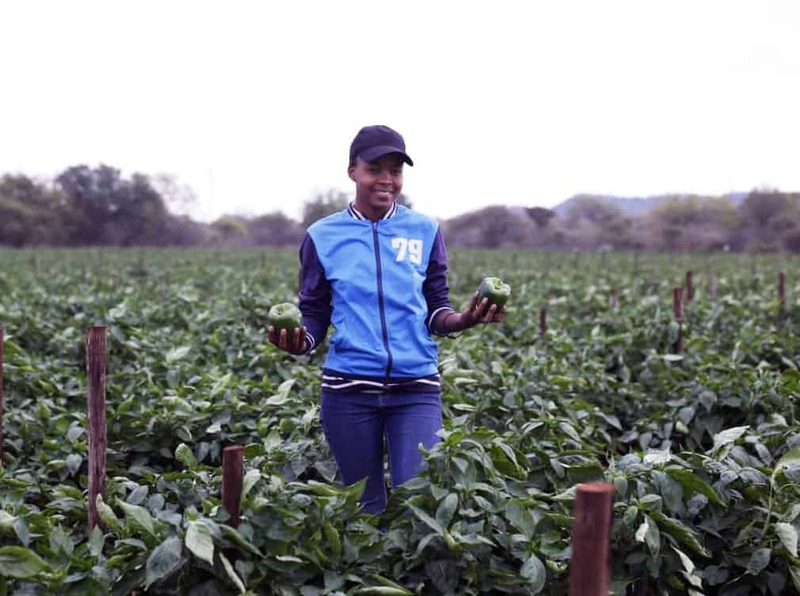 Matlakana beams audibly, again, describing how her first harvest of green peppers was her proudest moment. Not only had she produced them with her own hands, but the first harvest came from seedlings that she grew herself and not commercially purchased seeds, cementing her belief that she had chosen the right path. Experience has been a good teacher for her and she was fortunate to receive the benefit of further training. Completing the De Beers Zimele incubation programme has made her a more holistic farmer and a more capable entrepreneur. While her agricultural skills were already well-honed, the incubation and mentorship gave her the opportunity to learn about and explore the managerial and administrative side of her chosen profession. 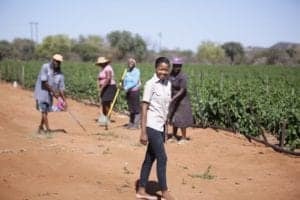 She hopes to realise her intention of sharing the knowledge she has acquired through a training centre that will empower young women in her community by training them to farm for themselves. Matlakana enjoys that farming has given her the ability to give back to her community. Aside from the employment opportunities her work has provided, she now proudly provides a free supply of vegetables to a local crèche every month. Peppers are not the end of her farming ambitions, however. She plans to soon expand her operation to include potatoes and tomatoes, crops that will demand more production input and more of her time. She seems equal to the challenge. 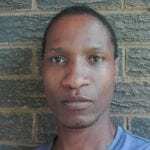 Being a successful entrepreneur at the age of 20 is just the beginning for Matlakana. Once time allows, she intends to resume her studies. As law is no longer her focus area, she intends to pursue an agricultural qualification. She also intends to travel and learn how to hunt once she has some time to herself. “I have no regrets,” Matlakana says when asked whether she would have done anything differently. The risks she has taken have brought her thus far, and she also isn’t afraid of doing things differently to get where she needs to go. Tirelo Mabetoa is a freelance writer, illustrator and home baker. An avid admirer of words, he was afflicted early in life with "restless-pen syndrome" and is constantly creating in whatever medium is available to him. He’s also done illustrations for Food For Mzansi.